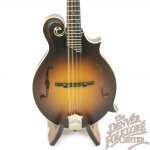 There is no denying that the mandolins made by the good people at Collings Guitars are some of the finest production instruments being built today and this fantastic Collings MF Wide Nut Satin Finish mandolin is no exception. 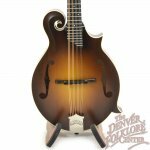 The slightly wider 1-3/16" nut allows for a little but more room between the strings which some players insist on. 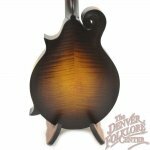 A satin sunburst finish with upgraded grained ivoroid binding adorns some beautifully flamed maple. 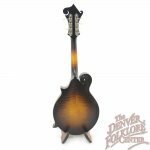 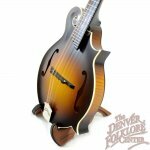 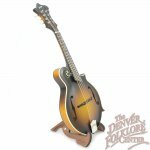 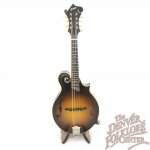 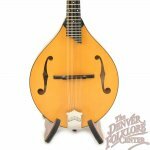 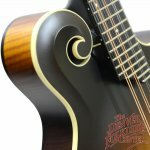 In fact, the people at Collings use some of the same premium woods on these cosmetically simpler mandolins as they do on their much more expensive models. 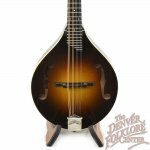 Tonally the instrument is loud, clear, and punchy just as one would expect form a new Collings MF Mandolin. 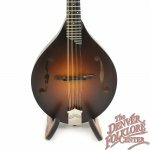 Also included with the purchase is a nice Collings TKL Hardshell Case, the manufacturers limited lifetime warranty, and the DFC Difference setup guarantee.